These days, our computers can play hundreds of tracks at once. But ’80s sequencers and synths couldn’t. Their ‘limitations’ are often their strengths - keep things simple. The ’80s and ’90s saw the introduction of synths whose sounds have, like those of their 1960s and 1970s forebears, gone down in pop and dance music history as classics. But it’s worth remembering that the tones these instruments produced weren’t the only participating factor in the way many records of that era sound. The hard disk recording revolution we take for granted arrived, for most studios, late enough to ensure that most tracks from the ’80s were recorded to tape. If you’re inspired by sounds from those eras, experiment with tape emulation plugins to properly situate your productions. A couple of the most endearing things about the limited sampling technology of the '80s and '90s are dodgy loop points and single samples being stretched over more keys than is entirely ‘musical’. Let a few samples go a long way. The digital reverbs of the ’80s were prone to characteristic aliasing during their decay stages, which can be replicated with a bitcrusher plugin. Experiment with setting your bitcrusher up on a second auxiliary channel and sending the reverb ‘on’ to this channel from its own auxiliary. If you then automate the level of the bitcrusher auxiliary’s return, you can introduce this only when you want it, making the effect more dynamic at the mix stage. Research specific pieces of gear. It’s not hard to find out which synths were used on classic ’80s albums before digging into their feature sets to discover how they actually worked. One of the most useful features of sampling has always been the ability to reverse sounds. Reversing reverb also became a hugely popular technique during the late ’80s and early ’90s. To recreate the effect, first reverse your source sound, then de-couple it from the reverb it triggers. This is easy to do if your DAW allows you to solo your auxiliary returns. Once the auxiliary is soloed, bounce the reverb, which, of course, will sound ‘backwards’ due to the reversed playback of the source sound. Then, bring the bounced reverb back into your DAW and reverse both the source sound and the reverb so that they’re the right way around. The reverb will now grow in volume ‘into’ the original, dry sound. Don’t be afraid to work at lower sample rates or to use bitcrushers on every channel. This doesn’t have to mean dropping all the way down to 8-bit - work at 16-bit or 12-bit, and things will immediately sound more ‘of that era’. Producing music in the '80s and '90s meant using a real mixer rather than a virtual one, with all the beneficial analogue noise and distortion that inevitably came with it. To emulate this aspect of the studio, find a way to pass your plugins out of your computer and back in again, or use analogue-style channel strip plugins on every channel of your DAW’s mixer. Today’s DAWs offer all the effects we could ever need, but things weren’t always so simple. 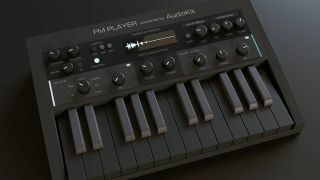 Onboard effects, such as reverb, only became standard on synths in the late '80s onwards, when the idea of adding different effect types to every part of a multitimbral performance was a pipe dream. Producers at the time would use a single reverb to help glue the mix together, so give that a try. If you’re drawn to the '80s approach to programming, it can pay to keep effects choices deliberately minimal.